So, you’ve dreamt about racing cars for a long time… about watching Moffat, Brock, Johnson, Lowndes, Skaife, Tander, Ambrose, Whincup etc – but you’ve never known where or how to start in order to get onto the racetrack yourself just like your heroes… Here is a guide on everything you need to do to be able to line up on the grid with the rest of the drivers in the 944 Challenge series! Flame-retardant underwear and balaclava are recommended, but not compulsory. Please refer to this excerpt from the 2017 CAMS manual of Motorsport relating to Safety Apparel for further clarification on the grade of apparel required. If you pass these three elements, congratulations! – you will receive your Clubman Racing Licence! There are a number of competitive race series you can look at joining if you wish to go circuit racing. 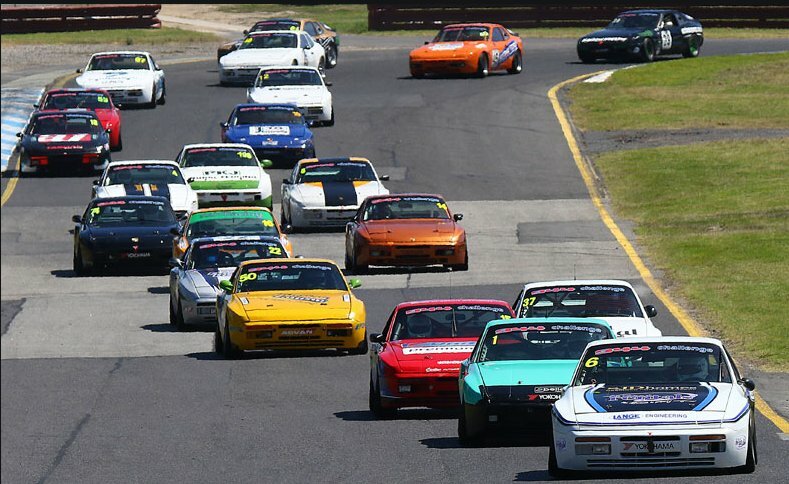 The Victorian State Race Series is regarded as the best State Based series in Australia, with 3 tracks to compete on throughout the season: Sandown Raceway, Phillip Island Grand Prix Circuit, and Winton Motor Raceway. Open-wheel Categories. These are for cars which as the name suggests, have wheels that are open (not covered by the cars body) At State Level, these classes are made up of Formula Ford, Formula Ford 1600, or Formula Vee. Coupe/Sedan based ‘Open’ Categories. These categories allow for a wide variety of brand, type and model of vehicle. These cars are often the fastest, and most expensive cars (especially at the front of the field) as they are continually able to be refined, and more money spent on development of bodywork, engine, transmission, aerodynamics, suspension etc. Classes include Sports Cars, Sports Sedans, Historic Touring Cars, MGs, and Improved Production. Coupe/Sedan based ‘One make’ categories. These categories generally have the closest fields, and most competitive racing, as each category only has one (or two models in the case of Saloon cars) that are eligible to compete. Combine this with strict engine control measures, such as control tyres, brakes, ECU and suspension, and you will find that the skill and experience level of the driver, car and driver preparation (with a bit of luck on occasion!) will decide the winners. 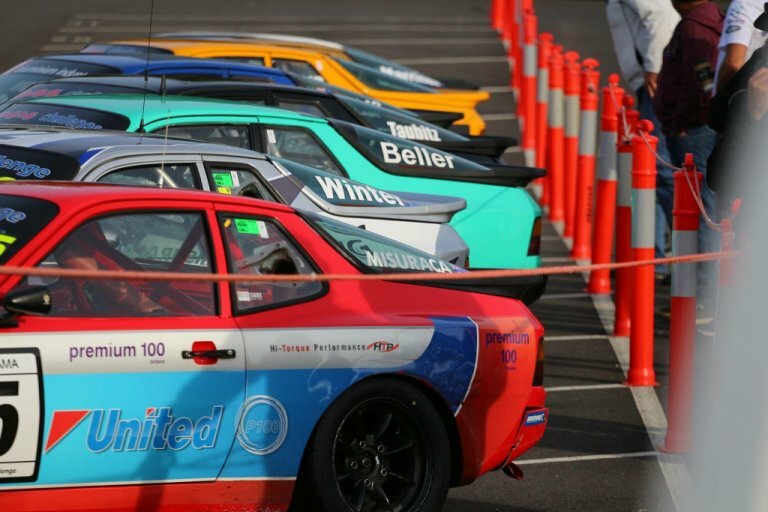 These classes include Saloon Cars, HQ Holdens, Hyundai Excels, and of course – the Porsche 944 Challenge. The field snaking through Turn 1 at Sandown Raceway to kick off the start of the 20-17 season – with more cars still coming out of frame! Affordable Porsche Racing! It sounds like a contradiction but it is possible.The best challenge for your own driving skills is to compete against others in cars as similar as possible, instead of going chequebook racing where the biggest budget buys the best cars, and also the race victories. The 944 Challenge begins its 19th year of competition in 2017, and another strong season of racing with big fields is promised. You could build up a car yourself that is eligible for the 944 Challenge series, or you could buy an existing logbooked 944 Challenge race car that is for sale. There are some 944’s that have changed hands for the same sort of money as what you would be required to spend on a front running HQ Holden / Hyundai Excel series car. If we have a look at the lap records for each category, you’ll see why the 944 Challenge is by far the fastest and most exciting one make category you could compete in in the Vic State Race Series! With the 944 lap records being at least ten plus seconds quicker than those for the two other one-make series, and the chance to race and hone your skills in a rear wheel drive, 5 speed sports car – the 944 Challenge is the perfect choice for young drivers coming out of go-karts and looking to race cars without breaking the bank, as well as for drivers of all ages to experience close, exciting, clean and fast racing. When doing the maths for the cost of racing, you will see that the primary costs of ‘going racing’ are identical for all categories. So the only cost difference between the three series is in the cost of building / buying your car. Contact the 944 Challenge Association to find out which cars may be available to lease, or purchase at any point in time. 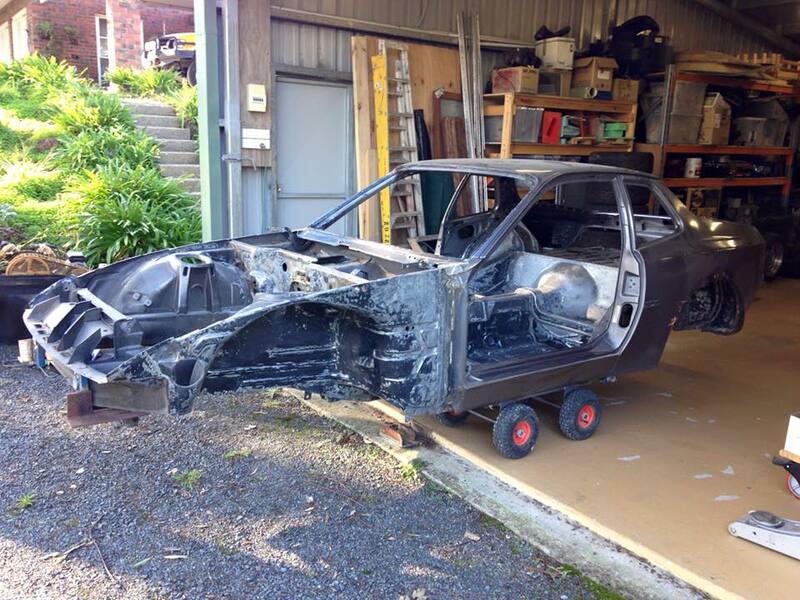 a 944 Body shell stripped, and ready to be converted into a 944 Challenge Racecar – this car was racing only a few months after this photo was taken. If you are buying an existing 944 Challenge race car, you will be able to easily find out if there are any modifications required to the car to ensure it is up to the current specification rules to compete. When finished, take a photo and apply to CAMS for an inspection and a log book. 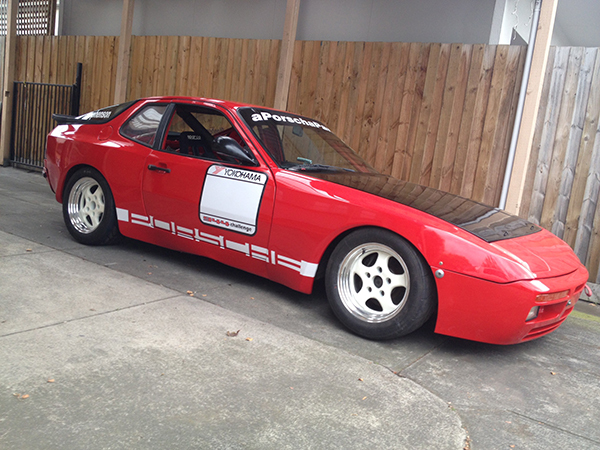 If you follow these steps, you will have a 944 challenge specification race ready car. Including the cost of a second hand road registered car, you could put together a 944 Challenge car and get change from $20,000. This car probably won’t get you up on the podium but if you’ve always wanted to go racing, you’re on the track with a car that can be further upgraded at your own pace and budget. Your next step is to join the 944 Association to be eligible to compete (Membership forms are on the webpage under the ‘Series Information’ heading) Ensure you also have downloaded a copy of the Driving Standards document, and have read and understood it, as well as all rules and Sporting Regulations for the 944 Challenge. Again, all of these documents are available on the ‘Series Information’ section of the 944 Challenge website. It is recommended that you have some track time in your car before venturing out for your first session with a full field of 944 drivers. All three of the Victorian race tracks have the opportunity to attend ‘test and tune’ days that aren’t linked to a race weekend. The next recommendation is to get familiar with the tracks and your car – Winton Raceway run open test days on most Fridays (with the exception of those immediately before dedicated race weekends) There are events run at Sandown Raceway a number of times during the year by ‘Tampered Motorsport’, and likewise for events at Phillip Island that you can attempt to attend with your car to get used to it, and familiarise yourself with the circuit. With your 944 Association membership and brand new CAMS licence, you can then enter for your first race weekend! Entering for your first race weekend is done via a couple of different ways, depending on which organisation is running the race event. You either fill out and post your entry forms, or you can do them online. Ensure you have all of the above taken care of and you will be ready to go! The Friday before every race weekend is available for race competitors to enter and compete in an untimed ‘practice day’ – which is independent of the race weekend itself, but very useful and recommended to enter to get some extra track time before the race weekend begins officially on Saturday morning. Otherwise the first time you venture on track on Saturday will likely be for the weekends’ qualifying session. There is a separate entry form you will have to complete for the Friday test day. Depending on the entries for the Friday test day, you will get between three and five on track sessions throughout the day. A recommendation is to try to get in contact with a current member of the 944 series to get any advice, recommendations etc. to help you when starting off – especially if this is your first foray into competing in motorsport. There are many drivers, including the members of the committee who are more than happy to help in any way possible to assist with getting new members onto the grid and easing them into their racing career. One of the most enjoyable parts of motorsport is the friendships built along the way! You will find the numbers of the committee members on the ‘Contact’ Page on this website. No one ever said going Motor Racing was cheap, however the costs of going racing in the 944 Challenge may not be as high as you’d think.. Entry Fees: Entry fees are the same for all classes in the Vic State Circuit Race Championships – $400 will get you entry to race for the weekend (if you enter before the cut-off date!) – some other events the 944 Challenge compete at can be a fraction cheaper. You can also enter the Friday Practice sessions prior to each race weekend, which will cost an additional $150-$200 depending on the circuit. Garage / Carport Hire: Garages are available to hire at the circuit for those that wish to do so – whereas some drivers choose to work out of the pit paddock, and have annexes, compressors etc. set up to work with. You would generally find just over half the field in the paddock, with the remainder utilising garages. There are roughly enough garages to cover about one third of the cars that typically enter a State Race Series meeting, so its important to get in early if you wish to book a garage. Garages are generally big enough for two cars to run from, so splitting the costs with another driver is common. 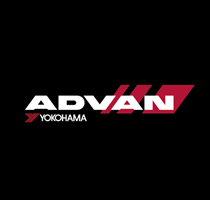 Tyres: The 944 Challenge have the Yokohama A050 Tyre as our control tyre for the series. The A050 is an all weather grooved slick tyre, which has shown to have fantastic life and wear rate – some drivers have competed in an entire season on 1 set of tyres! The cost of a set of A050 tyres is around $1,400. Traction Tyres are the official Yokohama distributor and they have tyres and tyre fitting available to purchase and have fitted up at the track every race weekend. Fuel: Control Fuel is supplied by Just Fuel Petroleum, and is also available at the circuit for all race weekends and practice days. The cars are run with a special 100 octane blend, and costs are only slightly higher than what you would pay for premium pump fuel at your local service station. You would expect to use an average of 40 litres of fuel on a race weekend. Brake Pads: Pads are supplied by the 944 Association and are also a control item racing brake pad. Pad sets are also available at race weekends and are $185 for a set. (Front or Rear) Pad usage will depend how hard you are braking! A couple of sets of pads on each axle are enough for the majority of the drivers to get through a full season of racing. These are the primary costs you will need to allow for a race weekend – the 944 Association try to host a BBQ lunch or an evening Dinner at most race weekends for a chance to get all drivers together for a chat and a story or two! Things to remember for your first race weekend! A small section of the 944 Challenge field in pre-grid awaiting to head out for Qualifying at Sandown Raceway. Consumables – Fuel is available at the track most race weekends – it is recommended to place an order with Just Fuels – our control fuel supplier – prior to the race weekend to ensure enough fuel is allocated to cover all competitors. Brake pads are also available at the track from the 944 Association. At most race events you will find one or two retailers in attendance who sell all sorts of race supplies including replacements harnesses, helmets, race stickers, oils and other fluids, as well as all number of race oriented equipment, tools etc. When you first get your licence, you will be on your provisional or ‘P’ plate licence – same as on a road car. You will need to give your licence to the officials at the start of the weekend in order for your driving to be observed. The stewards and clerk of course for the race weekend will take notice of drivers who have their licence in for checking, in order to sign off on your driving for the weekend as being of an acceptable standard. Don’t forget to collect your licence back before you go home for the weekend! Once you have received 5 signatures from 5 race weekends, and have also completed the required event of flag marshalling duties, you will be able to go onto your full racing licence. At the start of each race weekend, you are required to ‘sign on’ – this involves bringing your racing licence, car club membership and vehicle logbook to be checked that it matches your submitted entry paperwork. This is often one of the first things you are required to do, and can in some instances be done during Fridays’ session. At this point you can register your pit crew members and will receive your wrist bands for the weekend. More often than not, you are also required to bring all of your safety gear including helmet, suit etc. to be checked for compliance, wear/damage, and in date. You may also receive instructions at this time for your race car to have a scrutineering safety check if required – this check needs to be completed at or before every fourth race event that you compete in with your car. Next requirement is to ensure you attend your correct assigned drivers’ briefing. The time and location of the drivers briefing is listed in the weekends’ schedule of events along with session times for the weekend for qualifying and races. If you miss the drivers’ briefing, you will face a penalty which may include a monetary fine, or a rear of grid starting place for Race 1 – irrespective of your qualifying position. At the discretion of the officials for the meeting, or of the scrutineer for the 944 Association, you may be required to go to the scales immediately after any, or all timed on-track sessions. Failure to follow this instruction may result in exclusion from that sessions’ results. During the course of the weekend, your car will also be checked by the 944 Challenge Scrutineer to ensure compliance with the rules and regulations of the series. There are various checks completed every race weekend, including tags on engines, gearboxes etc. and to ensure that they are current and matching with those logged on the database. The scrutineer is required to have unhindered access to check all race vehicles across the race weekend. If you are involved in an altercation during the course of the race weekend, you will be required to submit an incident report with the 944 Challenge scrutineer stating your version of events. Failure to do so in the event of an incident involving another car other than your own, will result in guilt being borne by the driver not presenting an incident report – and will be subject to any penalties that may apply as a result, depending on the severity of the incident. Any such penalties as a result of an incident will be decided by the 944 Challenge committee. Installing a sports camera such as a Go-Pro or Kaiser-Baas inside of your vehicle to record on track activities is highly recommended – and submitting this footage may assist you in the event of an incident report being assessed by the committee. It is important to ensure that the camera is securely mounted and additionally secured with cable ties to ensure it can not dislodge in the event of a crash and a camera mount failing, or else it may be asked to be removed by race officials before you are permitted on track. Want better performance without the expense? Lose weight! It costs nothing but a little work. You have a lot of it to lose in order to meet the minimum of 1100kg for the car with driver, and all your racing apparel. You will be surprised all the stuff you can do without! Once you are on the track, it won’t be long before your sleepless nights will be filled with thoughts and plans for making your car go faster and dreaming about perfecting your race lines and braking points! © Copyright 2017, 944 Racing Association.